As a teacher, one of my goals is to build my student’s confidence. I often ask them to reflect on what is going right in their life. As someone who naturally needs to find the positive in every situation, I am constantly startled that this is a huge chore for many people. Earlier this week, I asked students to share one good thing about their weekend on the board as they were coming in. 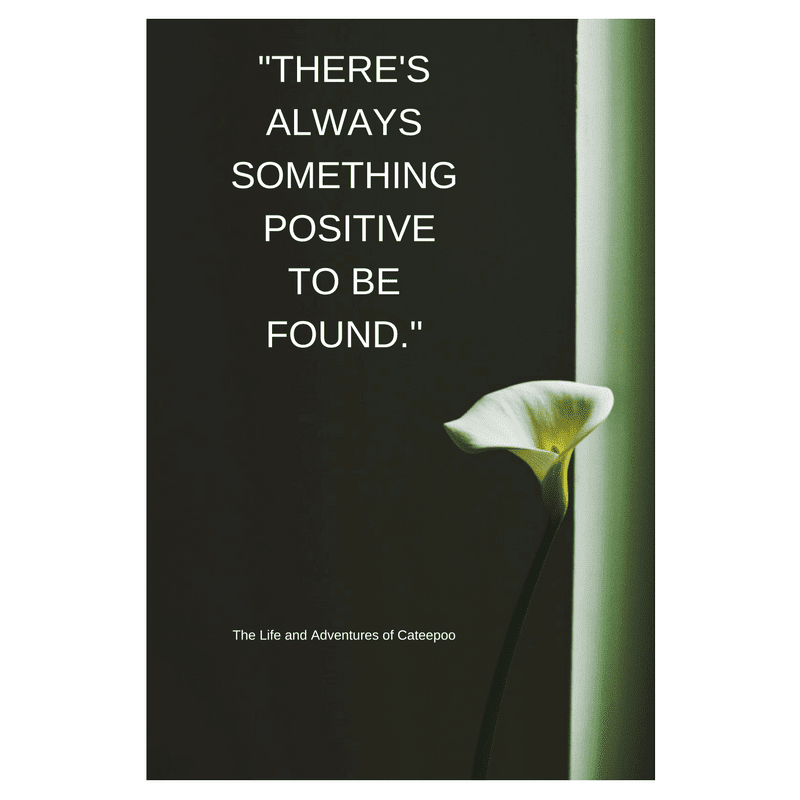 Every student but one had the same response, “Nothing.” My response was always the same, “There is always something good to be found.” It soon became a chant by the other students. For many, I had to dig deep into their weekends, but finally, almost everyone had something small to share about their weekend. I spent time with my best friend. I participated in a food festival. Although these were very simple things that might happen any weekend, they were each things that should be honored for the positive energy they brought into these students lives. What amazed me was that as the board filled with positives, smiles started popping up. As students read the comments of their peers, they were happy for each other. The positives of their classmates sparked new positives they hadn’t thought about. It was spectacular. As I watched the energy in my classroom change, I was reminded of how easy it is with a chronic illness to forget that there are positives in our lives, no matter how small. Sometimes on very painful days, we have to dig deep to find them, but they are always there. It also made me think about how I have the ability to change the environment I am in. While we definitely need to share that we are in pain with our friends and family so that they are aware of what is going on, we also need to be cautious of how our pain is also affecting those around us. By simply sharing something good about our day, we have the ability to take our friends and family out of a serious mood of worrying for us and feel okay sharing something of their own that is going well. Many times I think our loved ones fear sharing this because it seems our lives are wrapped around pain. But stopping and just sharing a few nice things about our day is a nice way to connect and live in a similar world outside chronic illness, even if for only a short time. Okay, now you've gone and done it. I had a perfectly good funk going on and you write this post and now I'm smiling. Thanks for the reminder that there are so many positive things in our lives. I needed that.